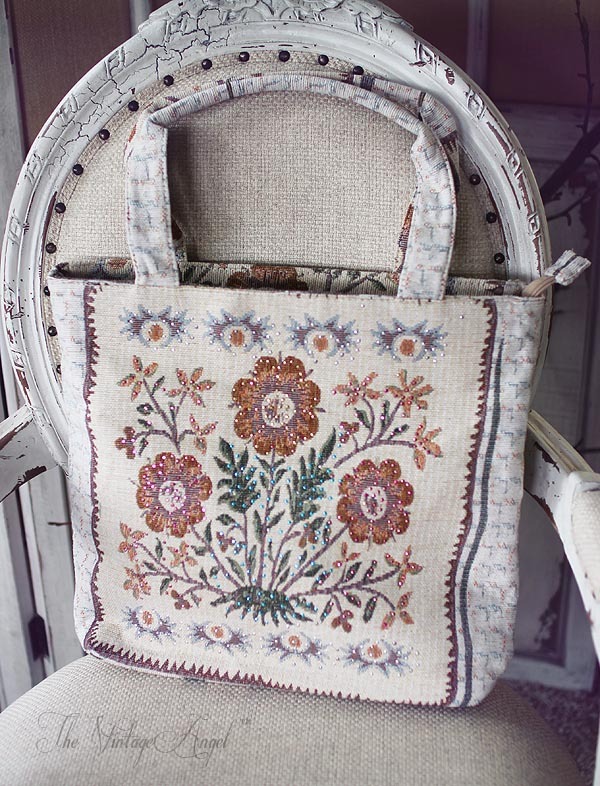 This romantic tapestry tote bag zips closed and features a lavender satin lined interior with a zip pocket. 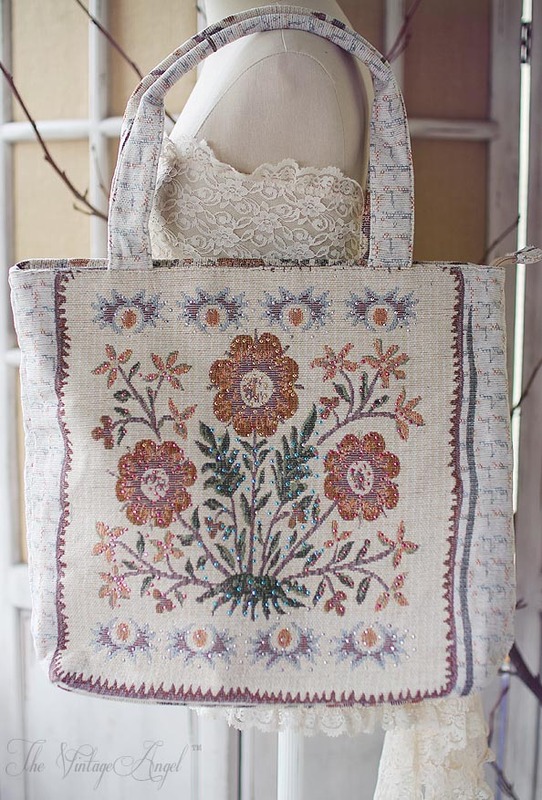 Both sides of the woven tote feature a beautiful woven floral design on both sides with beaded accents on one side, done in a shabby chic inspired pallette of white and pastel hues. 16.20 X 14.50 X 3.40 inches.